You are at:Home»BUZZ»iLDOCK – Solving iPhone 7 (Plus) Audio Jack Problem! 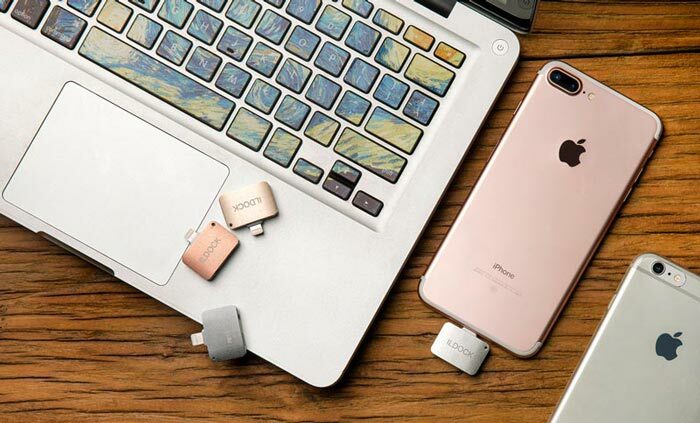 If you have upgraded to the latest iPhone device, you’ll find yourself using the dongle to use your earphones, but it doesn’t solve the problem when you want to charge the device while using your earphones. That’s where iLDOCK comes in. 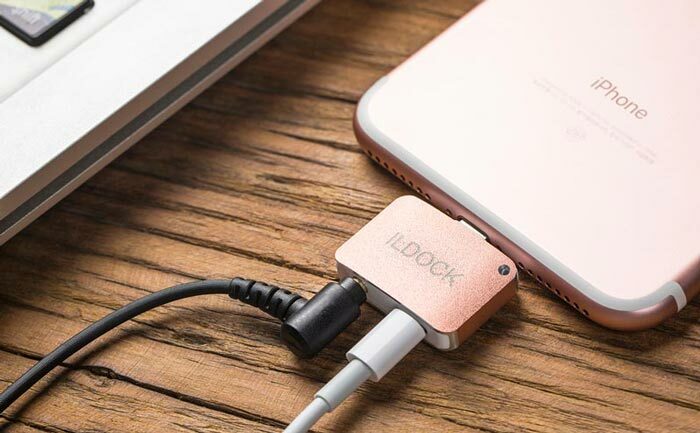 The iLDock (albeit a weird name), can not only help you use your current earphones, but also add photos straight from your SD card. ILDOCK: 3.5mm audio jack + lightning port. Perfect if you have a lot of earphones/headphones with 3.5mm audio jack or if you need an AUX cable to plug into your car! 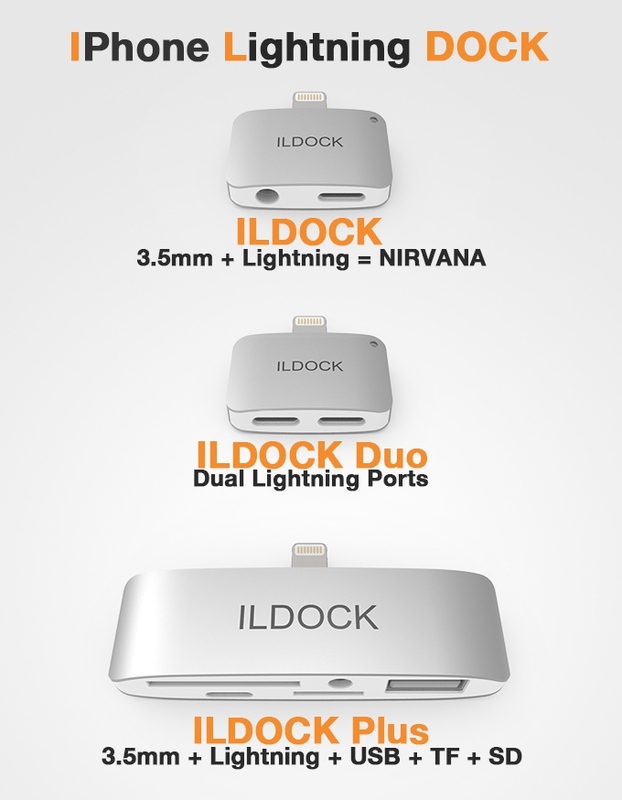 ILDOCK Duo: 2 lightning ports. If you’re going to use the standard (new) earphones with lightning port and need to charge your phone at the same time. ILDOCK Plus: pretty much everything and the kitchen sink. Awesome if you don’t travel with your laptop and you want to send photos from your DSLR to your social networks. Want to see it in action? Check it out. The regular ILDOCK is looking to ship in November and retails for only $10. The Duo and Plus will be shipping in December and has a price of $12 and $20, respectively and comes in a variety of colors! For $10, this seems like a more practical solution than a dongle. We are waiting for confirmation if other peripherals like Paypal Here or Square will work with this device. Don’t forget to check out our iPhone 7 Plus Caseology review!